Local music fans dance at Casey’s in downtown Lewiston to the hip sound of Paul Revere and the Raiders. Located on Main Street in Lewiston, Idaho, it was a hot spot in the 60's for kids locally, and for students at Pullman and Moscow, both short distances away. Many big NW acts played here, including the Raiders and the Kingsmen. You entered through the little door at left, and went up a narrow flight of stairs to the ballroom, which covered the whole second floor. Bands, too, had to load their gear up and down the stairs with a hand truck. 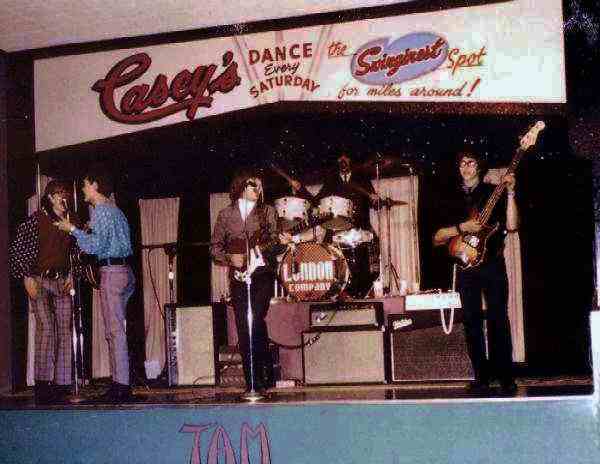 I worked at Casey's of Lewiston (Dance Hall) from 1966 to 1968 and then off and on in 1969. 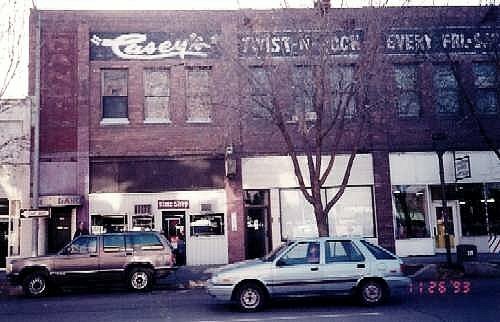 Casey's was owned by Pat Patoray and it was named after his son, Casey, who was my age and worked with me for his Dad. Pat also owned another dance hall in New Meadows, Idaho also called Casey's. 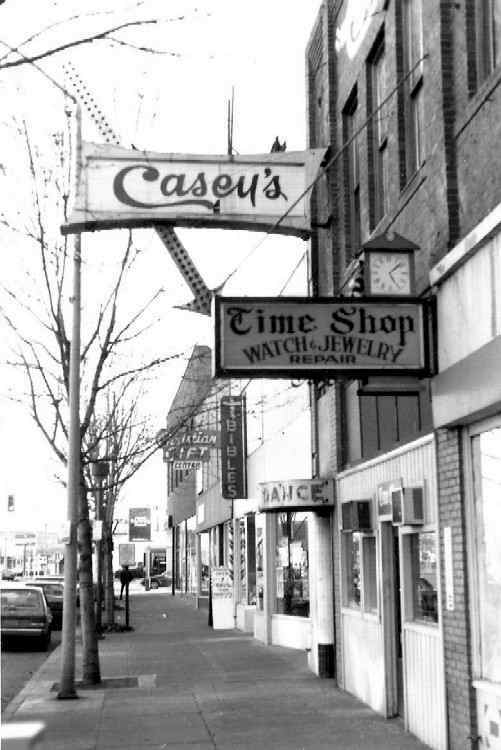 Casey's was very well known in the era as one of the top light shows in the nation. It was compared to the Fillmores east and west, Avalon and the Cheeta which were major venues of the time with big light shows. Because Casey's had such a significant light show a lot of major bands played there and it was a great show case for bands in the Pacific Northwest. Pat's dream was always to get Jefferson Airplane there but it never happened. 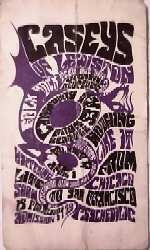 One event I was excited about was suppose to take place on July 4, 1969 when Blue Cheer was suppose to play. Blue Cheer was the true father of metal rock and were way ahead of their time. Known as LOUD with more equipment than any band at the time (36 Marshall stacks for a 3 piece band). Pat had actually remodeled the stage to be able to fit them in but they canceled at the last minute. The Yardbirds played Casey's and Jimmy Page was the lead guitar player. I spent some time with him and he carved his name in the ceiling of the dressing room. I always intended on getting into Casey's and taking that item. A couple summers ago I saw the door to Casey's open so I went inside. I Found a college film crew making a documentary about Caseys but the whole place was stripped out, nothing there but frames and junk. Jimmy Page's carved name was long gone, hopefully not thrown out but kept by someone who recognized it. It was sad to see Casey's in this condition but what struck me was how small it looked. In my memory it was gigantic. Casey Patoray, as far as I know, still lives in Grangeville, Idaho and works for the lumber mill there. His dad, Pat Patoray, ended up in Gresham, Oregon. The Lewiston Morning Tribune did an article on Casey's and I called him about it. We talked at length and I thanked him for the era. He told me that a couple of important parts of Casey's are stored in Lewiston at the Mason's or Elks hall, or something like that. He had the Wall of Fame which was a black light wall with the names of all the bands who have played there painted on it. He also had a giant black light painting of the Beatles in their Sgt. Pepper's uniforms. I would like to find these items. Pat died a few years ago. My name is Sandy. In 1965 Pat decided to have go go dancers on the stage. He had a big tryout day, and I became his first go go girl. It was truely an experience I will never forget. 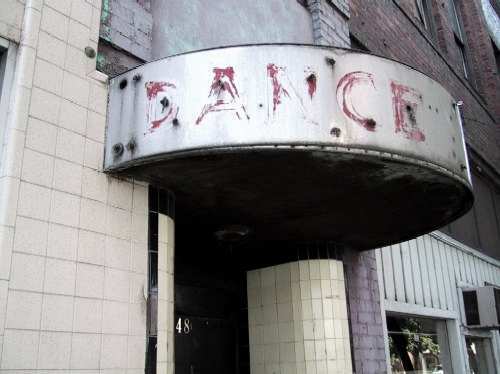 I danced to all the bands that came to town in 65 and 66. The parties after the dance with the band members were so much fun. At one point Pat and I decided to hire a couple more girls but for the life of me I can't recall their names. I quit somewhere in 66 to do other things but I will never forget the fun. I was 16. I think I still have a couple pictures somewhere I'll look soon. I tried to get Pats daughter to let me look through his Casey stuff but she said they were in a storage place and she didn't have time. I would have loved to have some pictures to show my kids. Many years after Caseys closed, it re-opened for a while and I was told they showed old pictures of the first Caseys on the walls during the dances. They said my pictures were there too. I wish I new where they are now. Well, thats the little bit of info I have....oh I do remember the piano that was there for years was Paul Revere's. He brought it the first time he played in Lewiston and just left it there for his return visits. I wonder where it is now? Anyway, hope your search for Casey Memories is a sweet one. Officer Ralph Russell, who used to stand at the door checking IDs, was a great person. He was very nice and laughed and had fun with us. After one night there he was gunned down and killed attempting to catch a bank robber in the alley behind the bank. I worked the main floor for Pat in the 1970's... lots of fun and great people! Mike Rigney was the police officer on deck at the door.and "Ken" worked the entrance/ticket sales. I went by the place last summer while I was in town. It was heartbreaking in a way, but you know.. Lewiston's young people were able to experience bands and music from all of the west coast. It was.a truly amazing era and place that young folks today will never see. Thanks for the memories! For a particular generation of teens now reaching retirement age, there is a building in downtown Lewiston that was an unforgettable landmark of youth. 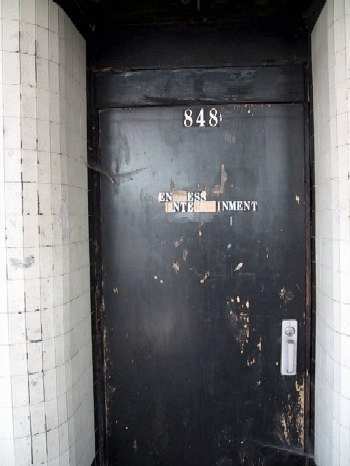 From 1962 to 1973, a door at 848 Main St. opened to a flight of stairs that led to the second-floor ballroom that was Casey's, a nonalcoholic teenage dance hall. Here played the Kingsmen, hot off the success of "Louie Louie." There were Paul Revere and the Raiders; Sparrow, which later became Steppenwolf; Roy Orbison; the Yard Birds; Moby Grape; and countless others. Casey's has been silent for decades but its legend lives on in those who frequented its psychedelic interiors. It inspired a slew of local bands whose members are returning this weekend for Talkin' Bout My Generation, a reunion of the musicians and fans that were the '60s music scene in Lewiston. "The Beatles hit in early 1964, (Pat) Patoray opened (Casey's) in 1963. 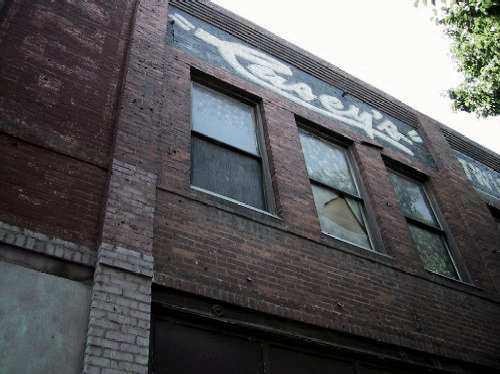 It was timed perfectly," says Michael Feeney, a retired Lewiston architect and music fan who first visited Casey's in 1965. "Kids saw the Beatles on 'Ed Sullivan' and said, 'I'm going to start a band,' " Feeney says. Members from eight of 12 bands from the era will play at the two-day reunion. 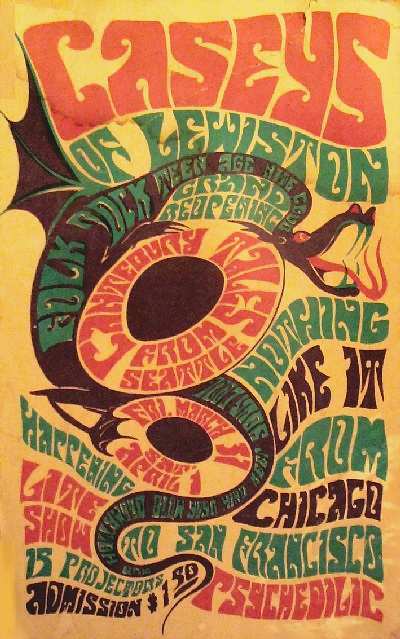 The event began with the idea of getting one band together privately, says Feeney, and expanded to include nearly all the local 1960s rock bands because musicians played in multiple bands and all knew each other. Fewer than five of the musicians still live in Lewiston, Feeney says. The rest are coming from out of town, including one who went on to fame, guitarist Paul Speer, now based in Memphis, Tenn.
Speer and his brothers Neal and Gary formed the popular Lewiston band Stone Garden while they were at Lewiston High School. Speer's music, which ranges from new age to progressive rock, was later nominated for a Grammy award. His brother Neal will also perform at the reunion. Brother Gary is deceased. Casey's was founded by a lumber man, Michael (Pat) Patoray. By day Patoray worked at Clearwater Lumber in Spalding, by night he planned the weekly acts that would blow local teens' minds. "To look at him you wouldn't think this guy is hip or really knows the music scene," says Tom Williams, a member of the Lewiston bands the Lounj Men, later renamed the London Company; Village Music Wagon; Free, renamed Valhalla; and Sleepy John. "One of the nice things about Casey's, particularly for the musicians in Lewiston, is that they got their bands good enough to play Casey's. Pat would give professional criticism and encouragement at the same time while also bringing in all these great groups to serve as examples. These musicians were leading the scene at that time and that had a lot to do with inspiring so many bands in Lewiston," he says. Michael Patoray, Pat Patoray's son, only visited Casey's once and that was during the day, but he says he is aware of "the unique place that Casey's has held in the hearts of many from around the valley and beyond." "That it is still remembered and regarded so fondly here in 2010 is quite a testament to my father's vision, his love of music and his hard work," says Patoray, who lives in Spokane, where he is host of a world music program on Spokane Public Radio. Patoray says his father was proud of his achievement. "He'd be prouder still to see that he made a difference." Patoray died in 2000 at age 79. His son Casey, who the venue was named after, lives in Grangeville. His daughter, April Smith, lives in Lewiston. Three other sons live around the Northwest. Williams, a drummer, put music aside for 40 years to manage a furniture manufacturing company. Now semi-retired and living in Auburn, Wash., he took up playing again last year. He helped plan the reunion with Feeney and Don Tunnell of Eagle, Idaho. "It's just amazing. People have been on board and excited about it," Williams says. After playing bass guitar in the Rising Sons, which became Village Music Wagon, Tunnell went on to a career as a music manager. His clients include Denae Gardner and Jimmy Bivens and he has produced and directed video projects featuring the Rolling Stones, Ted Nugent and Metallica. Casey's had everything to do with his career choice, Tunnell says. "It gave me the opportunity to look at the inside of the business by being in the band," says Tunnell, who had to cancel his appearance at the reunion because of commitments in Nashville. His first manager was Patoray. Casey's was almost always full to its 700-person capacity, Feeney says. They hope the reunion, which benefits the Idaho Food Bank, can rekindle that passion and some memories. Tonight, bands will play individual sets of hits spanning the 1960s. Saturday is a jam session. The reunion will feature performances by musicians from The Seniors/the Paradons (1961-2010), the Lounj Men/London Company (1964-67), WJ & the Fantastics (1964-65); the Van G's (1964-67); the Rising Sons/Village Music Wagon (1966-69); the Stone Garden/the Speer Bros., (1966-72); Village Green/General Store (1966-71); and Sleepy John (1969-71). Shows will also include members from the bands Free/Valhalla (1968-69), Tyme Conspiracy (1968-69), and Beat Beat/the Invaders (1968-71).